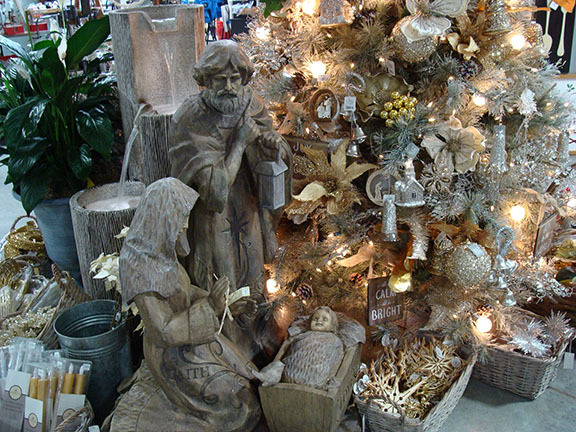 Hillermann Nursery & Florist | Seasonal lawn and garden tips, plus informational articles about plants, gardening, landscape, lawn care and more! perennials come back, and the birds sing. This is truly my favorite time of year. The seasons move so fast, this is one that you need to s-l-o-w d-o-w-n and enjoy every day. One of the movements across the country remains “Protecting the Pollinators”. 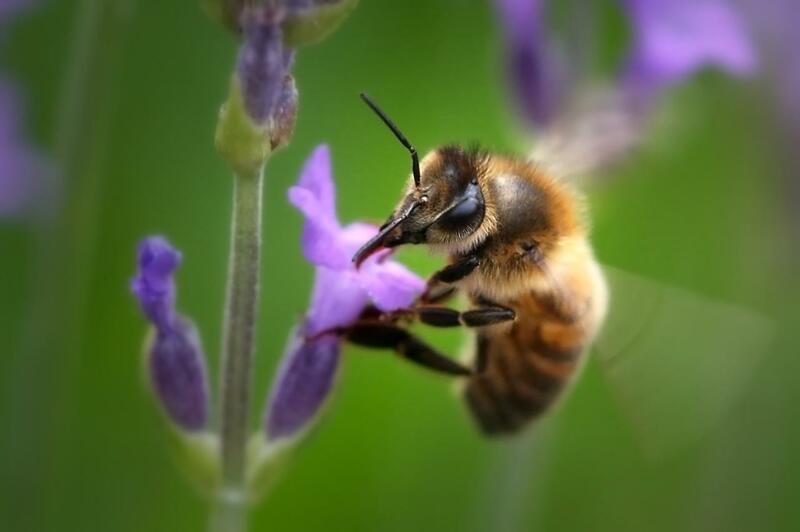 The decline of most pollinators is still a strong concern. We need to make ourselves aware to save ALL pollinators. We can help with this by being aware of our surroundings and eliminating the use of insecticide products. If you have an insect issue, talk to us about methods of controlling pests without harming pollinators. Our food supply depends on it. I have made a short list of some of the common, timely items that need attention as we begin this season of Spring! 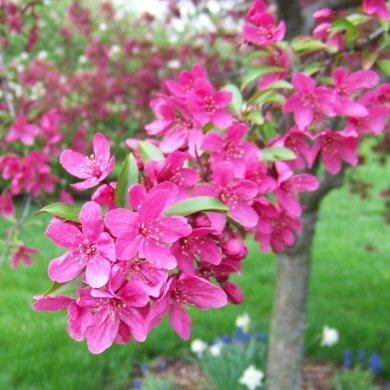 – When Crabapples are in bloom, hardy annuals can be planted. 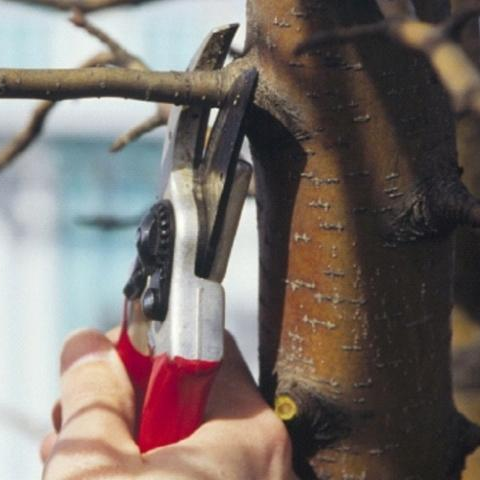 – Transplant trees, shrubs and perennials early in the month for best success. – Spots and bare patches in the lawn can still be over seeded if you did not apply a Crabgrass Preventer. During spring there are more issues to be aware of when seeding a lawn rather than in the fall. – Liquid weed control should be applied this month to control dandelions, other broadleaf weeds. New grass from seed MUST have grown enough to be mowed 3 times to make it strong enough to withstand weed chemicals. – Start cucumber, squash, cantaloupe and watermelon seeds indoors this month. – Termites begin swarming. Termites can be distinguished from ants by their thick waists and straight antennae. Ants have slender waists and elbowed antennae. – Mole young are born in chambers deep underground. 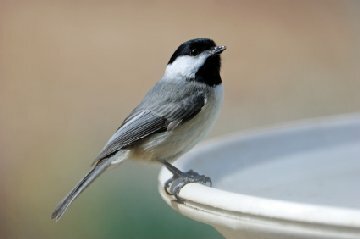 – Hang out hummingbird feeders the first of this month. Use a solution of 1 part sugar to 4 parts water. Change the solution frequently to keep it from fermenting. – The last week of April is a good time to try an early sowing of warm season crops such as green beans, sweet corn, etc. Transplants of tomatoes, eggplants, peppers, and sweet potatoes can also start being planted outdoors. – Container gardening is good choice for flower and vegetable gardening if space is in short supply. It can be done by anyone, anywhere, check it out!! organic/natural options are available to you when gardening this year. There are many. WOW what a winter we had this year! Spring is almost here!!! What a wonderful feeling to be able to spend more time outside enjoying what Mother Nature is unfolding before our eyes. The lengthening of days is a welcome site, and the warm sun on our faces is also a very great feeling. We “spring forward” with Daylight Savings Time on Sunday, March 10 this year. That is exciting. The grass will be greening up and mowing time is just around the corner. Mow lawns now to remove old growth and the last of winter’s leaves before new growth begins. Thin spots and bare patches in the lawn can be over seeded now if you don’t intend to use a crabgrass preventer on your lawn. Last summer’s heat and drought may make this a necessity this spring, if you missed the opportunity last fall. If you don’t over seed your lawn, now is the time to apply Fertilome Crabgrass Plus Lawn Food. We have long summer seasons here, and actually recommend that you make two applications of this product (4-6 weeks apart) to keep your yards crabgrass free this summer. Begin spring cleanup of perennial beds this month. Cut perennials to 3” above the ground. Remove damaged foliage and old flower stalks. Ornamental grasses and hardy hibiscus can be pruned back to 6” above the ground now. Once flowerbeds have been cleaned up, re-mulching can be done. Be sure not to mulch on the crowns of plants. Top dress or dry feed beds with a granular fertilizer, such as Osmocote, and apply a pre-emergent to help keep weed seeds from germinating. Divide summer and fall blooming perennials now, along with ornamental grasses if you so desire. Plant/sow peas, lettuce, radish, kohlrabi, collards, turnips, potatoes, spinach, onion sets, beets, carrots, and parsley outside this month. Set out broccoli, cabbage, Brussels sprouts, Chinese cabbage, cauliflower and pansy transplants now. This month is also great for setting out strawberries, blueberries, blackberries, grapes and fruit trees. Start seeds indoors this month for tomatoes, peppers and eggplants. And houseplants can still be repotted. 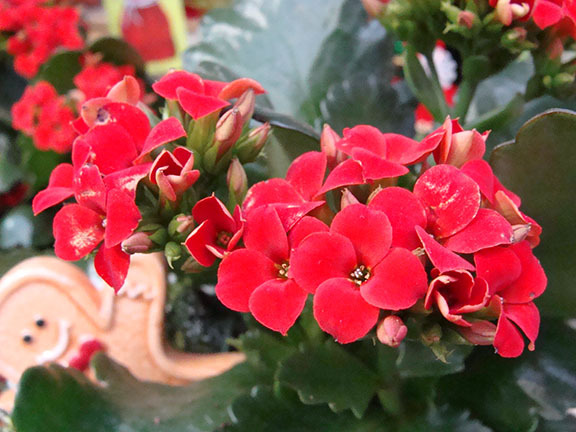 Continue to check houseplants for over wintering insect populations. 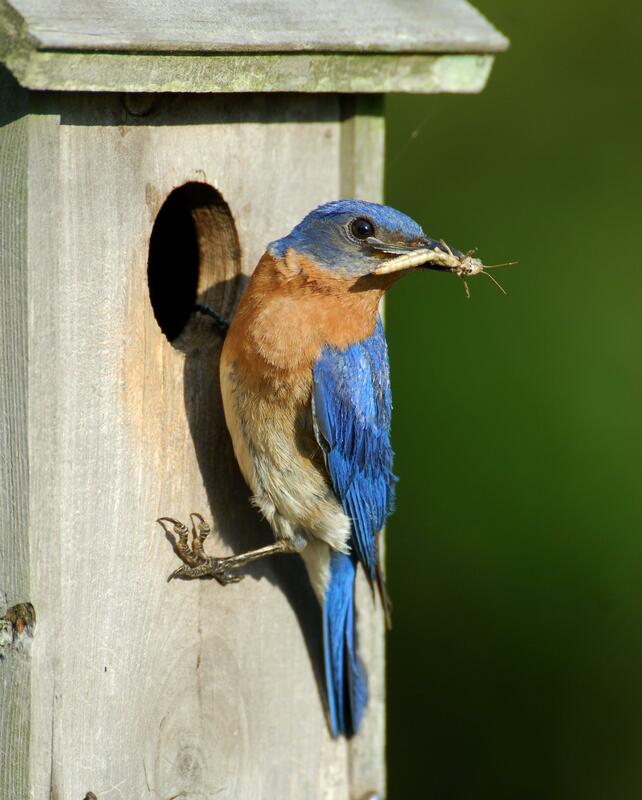 Nesting boxes for bluebirds can be set up as well as Purple Martin houses. Bluebird boxes are best at about 5’ off the ground on a fence post in the open with the entry hole facing away from prevailing winds. Purple Martins return to our zone 6 region between St. Pat’s Day and the end of the month. So, now is the time to clean out those houses and be prepared. February continues with dreary weather, but the anticipation of spring is closer every day. Our daylight hours are getting a little longer, which holds the promise that spring will be here soon. There are a few things to remind ourselves of, in preparation for this fabulous time of year. Seed sowing time is upon us! 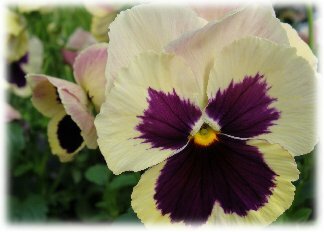 Now is the time of year to start seeds indoors for slow growing annuals such as Ageratum, Petunias, Geraniums, Impatiens, Salvia and Coleus. 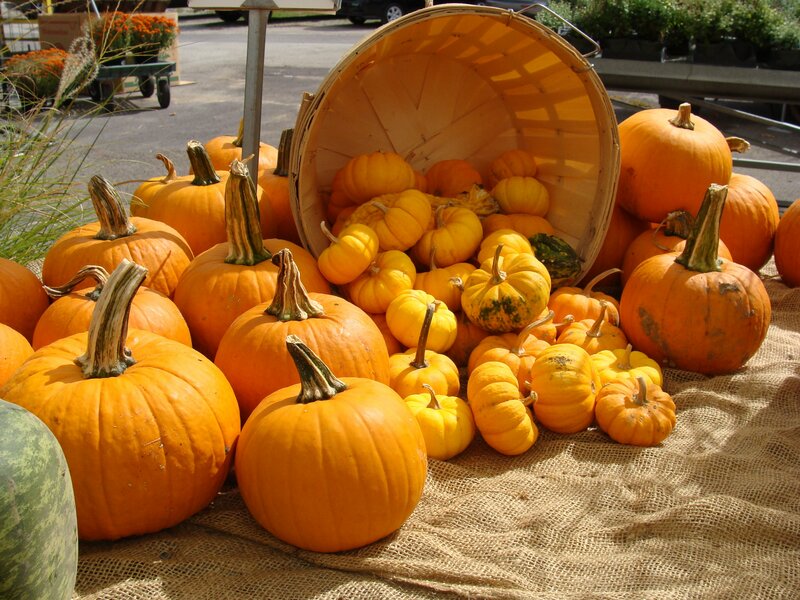 Check out the great selections of seed varieties available. We may now also move into our gardens outside, if the weather permits, to start the seeds of Peas, Lettuce, Spinach and Radish. What a great feeling to work in the fresh air again! Keep an eye out for Chickweed and Henbit in your lawn. These two early weeds have already emerged and will be thick this year. Spot treat these areas with Fertilome Weed-Out weed killer to keep it from going to seed. 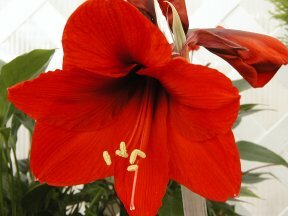 Amaryllis and Paperwhite bulbs can still be forced indoors this winter. 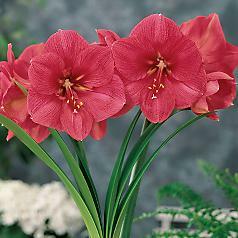 Make sure you keep the top 1/3 of the bulb out of the container, place into a sunny window, water and enjoy. Houseplants will be coming out of their winter dormancy soon, so now is the time to consider repotting and trimming root bound plants. This works best before vigorous growth occurs. When transplanting, choose a container that is about 2” larger in diameter than the old pot your plant is in today. This will make for an easier transition period for your plants. Add a slow release fertilizer, such as Osmocote, at this time. 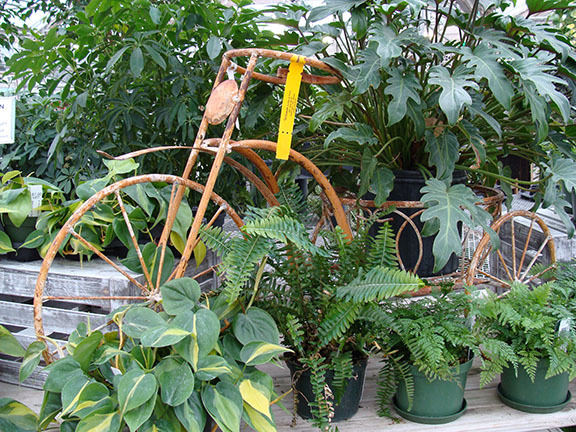 We have a great selection of new and fun plant varieties. Service and repair your lawn and garden equipment if you haven’t already done so. Sharpen and oil your hand tools, if this wasn’t done last December when you put your gardens to rest. A bucket of sand and a quart of motor oil work great for cleaning and oiling our tools. Pour the motor oil into the sand and insert your tool blades. This will help keep them clean and keep them from rusting. Have your lawn mower tuned up and the blades sharpened this month also. Deep root feed all trees and shrubs once the soil thaws. This gets the plants off to a great start for spring. The fertilizer has a chance to flow up with the sap and directly to the new growth giving way for great green foliage and flowers. 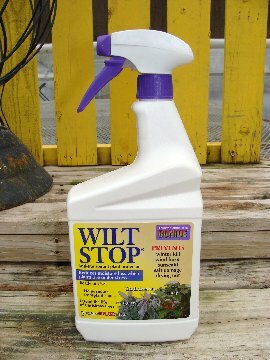 Dormant spray all fruits, berry plants and roses with a dormant oil spray when the temperature is above 40*. This will help protect the plants from any over wintering fungus spores and insect eggs. 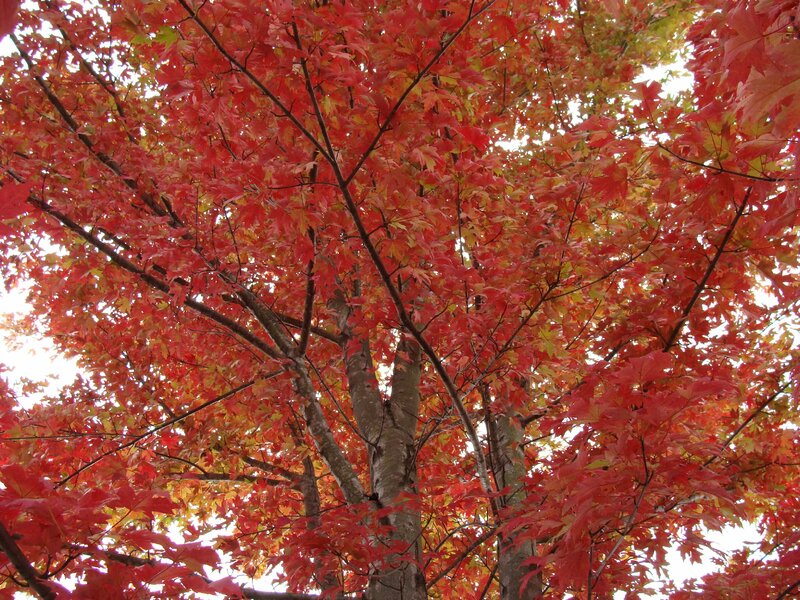 Trees are perfect for planting as living memorials, or to commemorate significant events in our lives. Tree lined streets have a traffic calming effect, moving more slowly and safely. 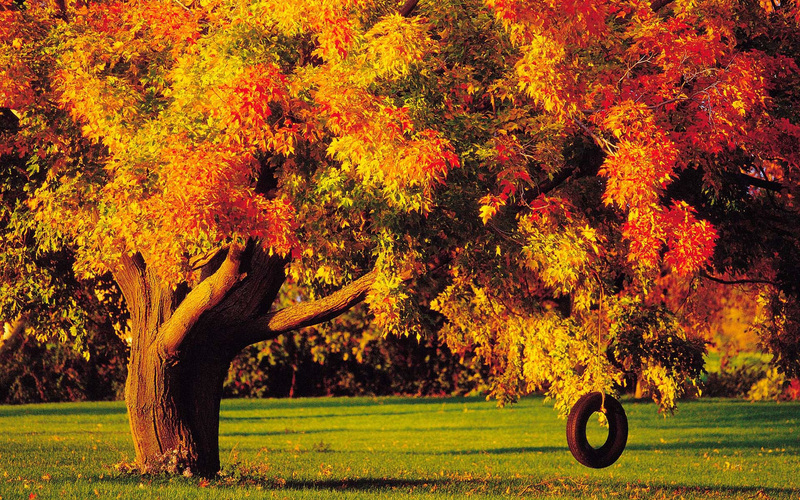 Trees improve our air quality by filtering ozone, carbon monoxide, and sulfur dioxide from the air we breathe. Trees reduce erosion and pollution in our waterways and may reduce the effects of flooding. Trees provide food, protection, and homes for many birds and mammals. Trees can reduce cooling costs in the summer by shading the south and west sides of your home. 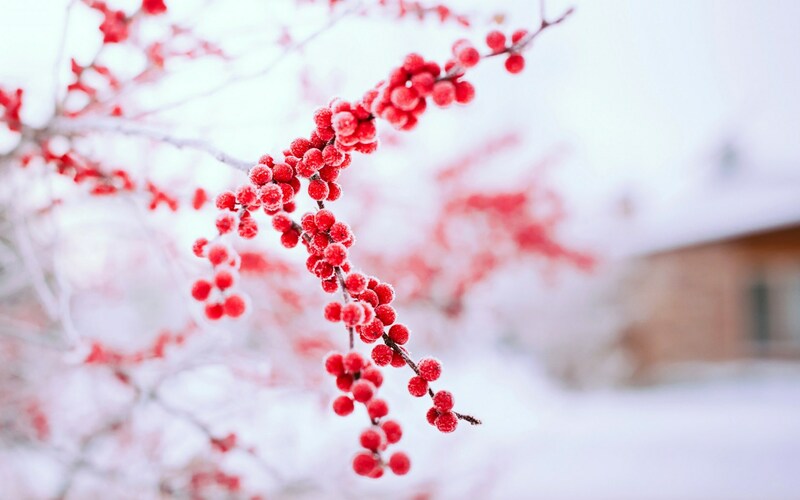 Evergreen trees on the north side of your home can act as a windbreak for winter warmth. The value of a well landscaped home with trees and shrubs can be as much as 10% higher than a similar home with no landscaping.